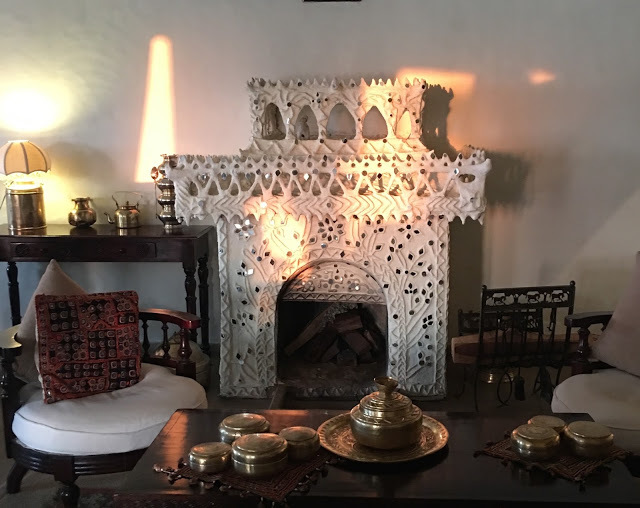 We arrive at the Heritage property of Rawla Narlai, an old hunting lodge – beautifully restored — and still owned by the royal family of Jodhpur, through the town of Narlai which (on first impression) consists of dirt streets with free-range cows and open waste water ditches. I decide that I’m just going with the flow here and somewhere a 5 star property will magically present itself. 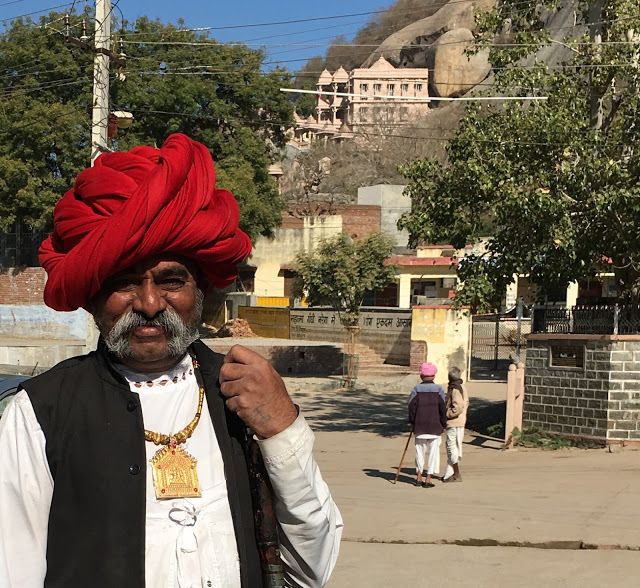 And sure enough, it does — guarded by Rajput warrior look-alikes in huge red turbans. We enter the fort and the world outside slips away. 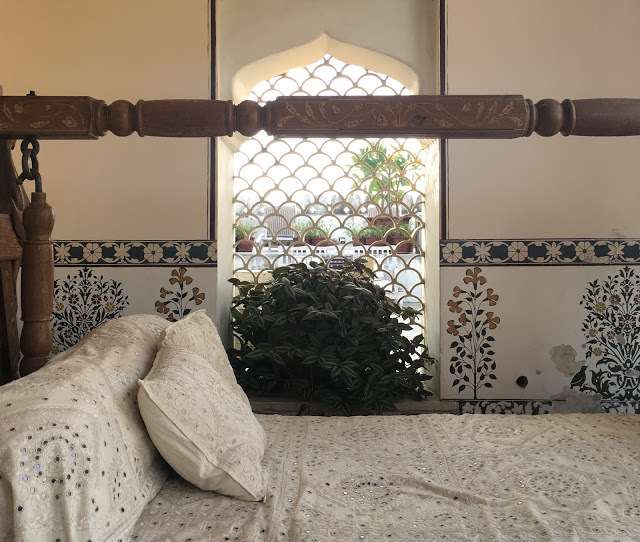 Burbling fountains, tumbling bougainvillea, the scent of jasmine, period furniture, open verandahs with latticework and daybeds are all tucked within the original walls of the fort. 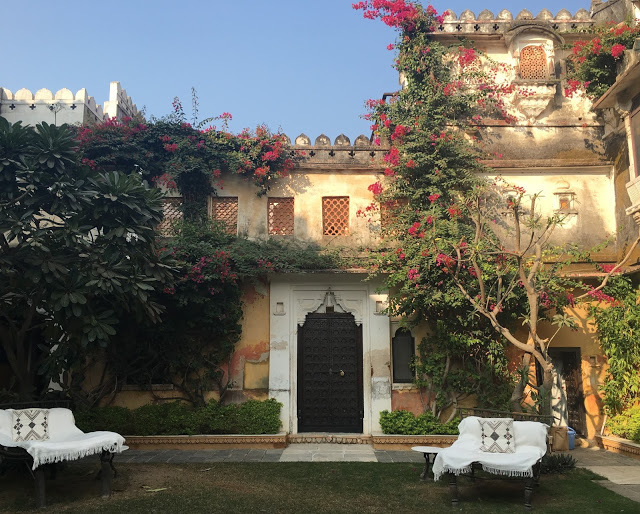 Rajasthan is full of old heritage properties now designated as heritage hotels and staying in them is worth the trip. 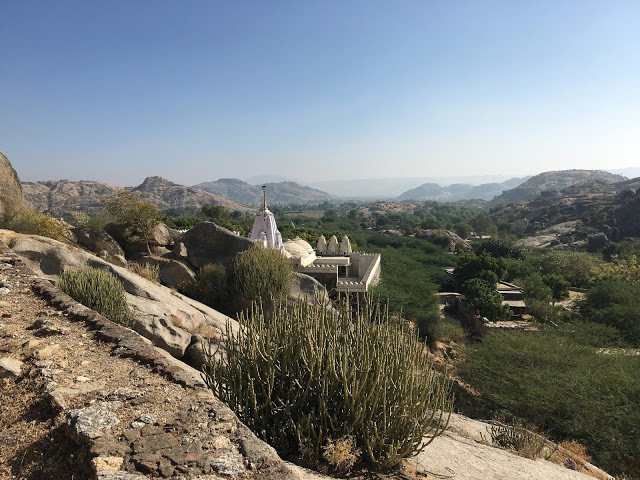 The town of Narlai turned out to be as simple as at first glance, but with 30 tiny temples, friendly, dignified townsfolk and a whole lot of monkeys. Also with swooping green parrots, kids flying kites from rooftops and many animal antics. 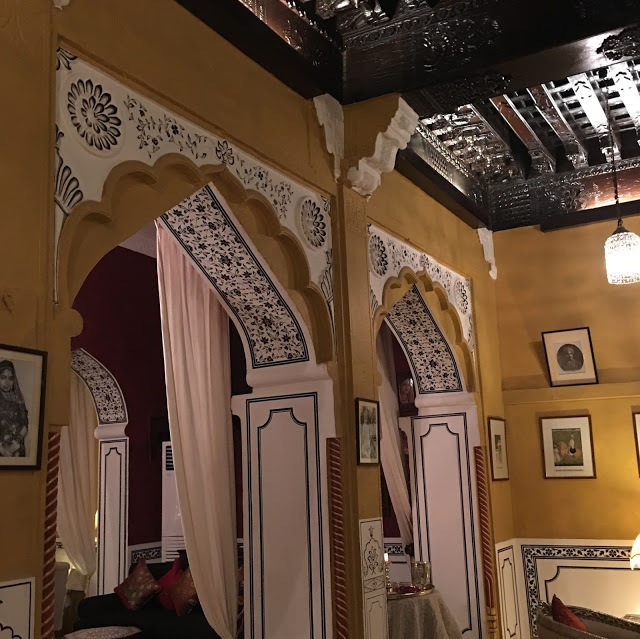 The monkeys were magically kept away from the hotel’s walls — how, I know not – as every evening the surrounding trees came alive with monkeys leaping from branch to rooftops; climbing gutters and acting like miniature ruffians. Narlai lies at the foot of Elephant Hill dotted with temples and their ringing bells. 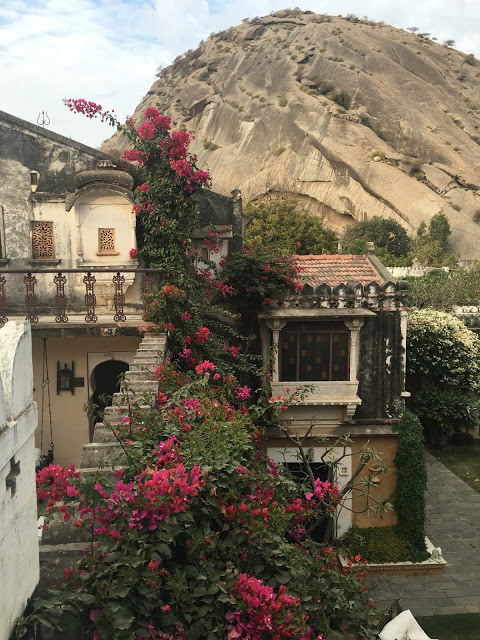 A 700 step climb brings you to the summit and fabulous views of the Aravalli foothills. One of the many temples on Elephant Hill. 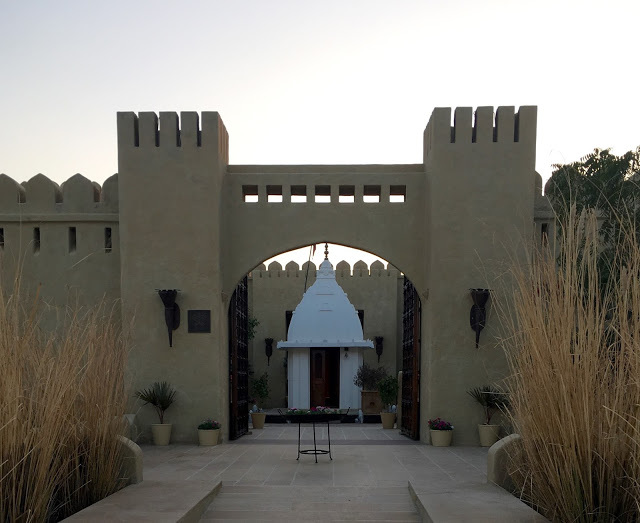 Welcome to Rawla Narlai. 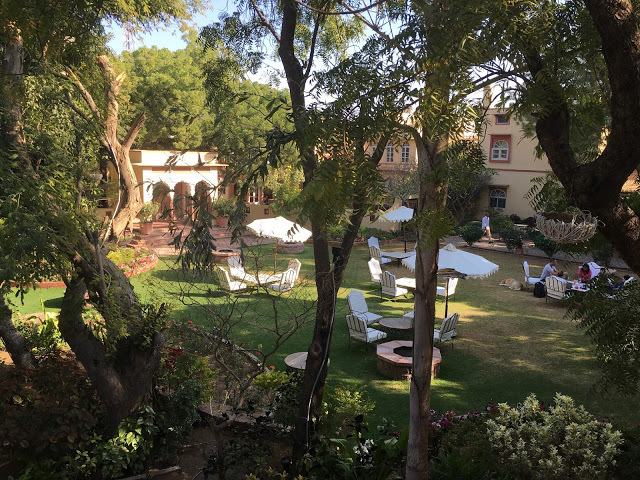 Central Courtyard. 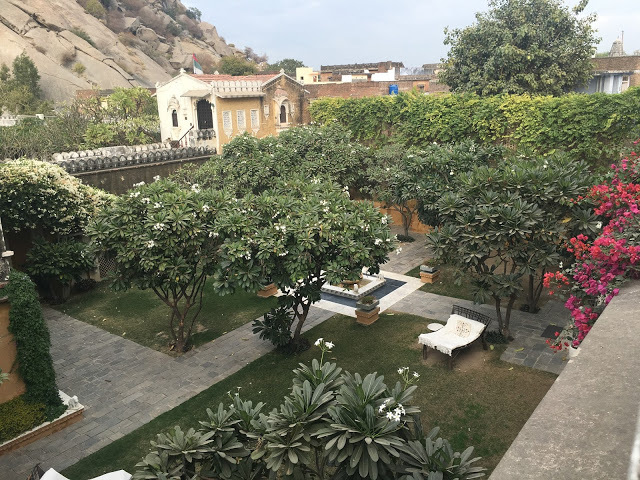 The courtyard from the fort walls. 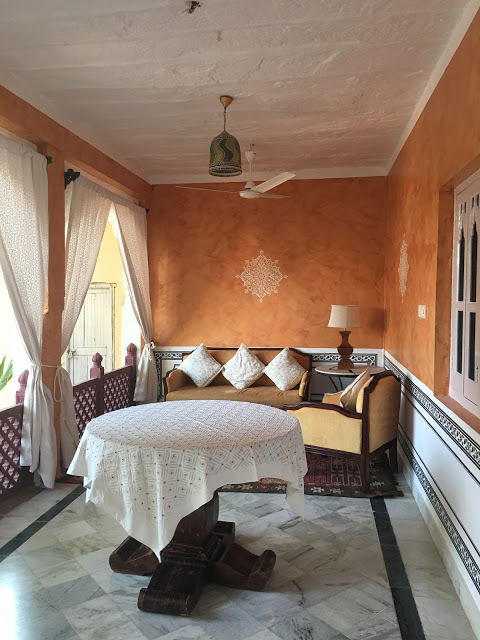 Hand-stenciled walls and lattice work on the veranda. 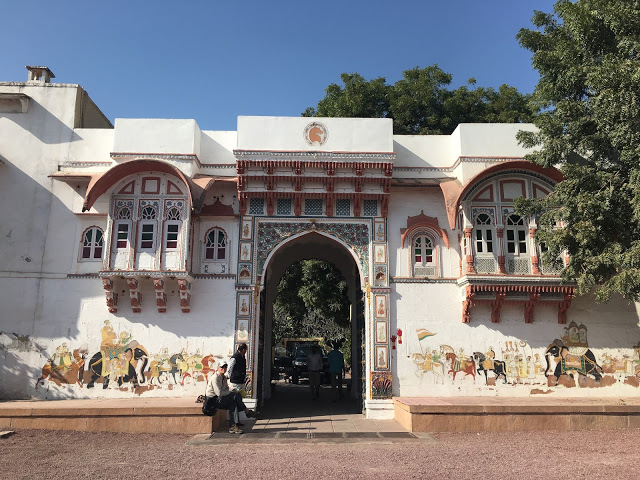 From Narlai we move out of the hills and into the flat plains surrounding Jodhpur. 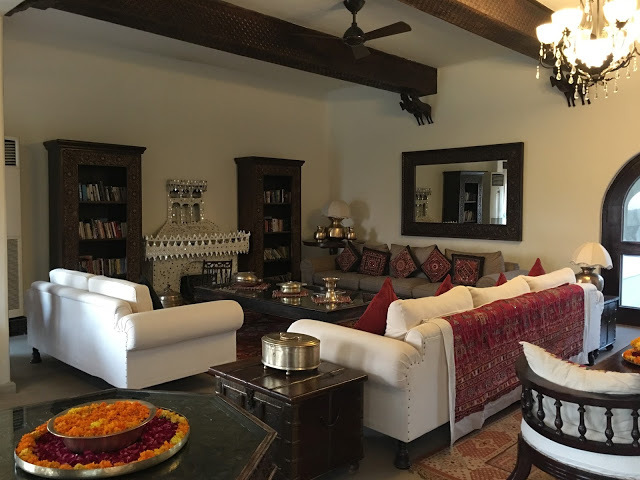 Here we stay at Rohet Garh, another heritage property (on which the maharajah still lives). 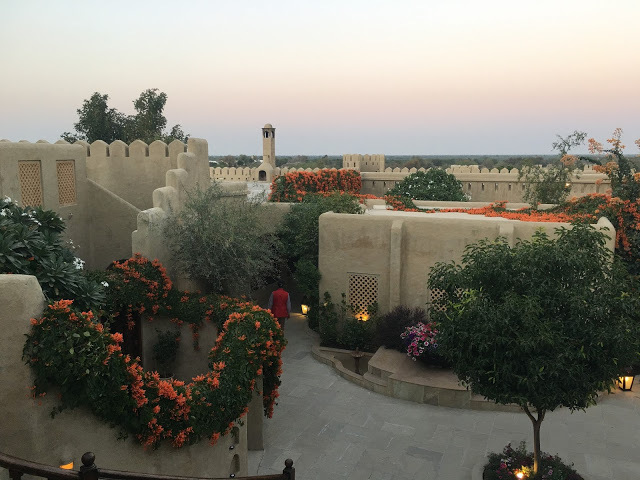 This small fort and buildings clustered around courtyards has been beautifully restored and backs up to a lake that is home to flocks of migrating birds. 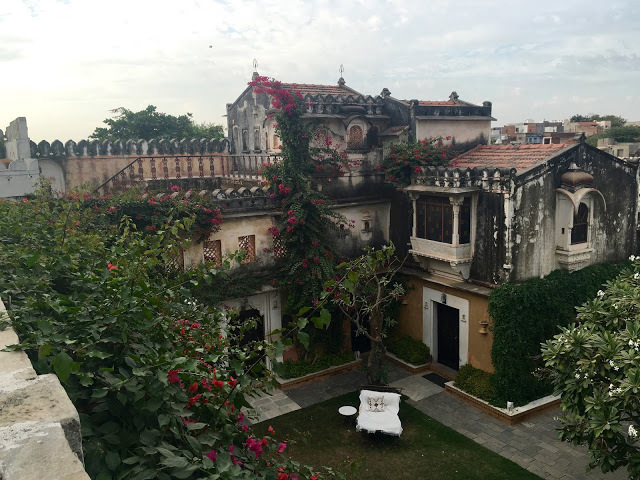 It is elegant and peaceful with strutting peacocks and waiters bearing gin and tonic. 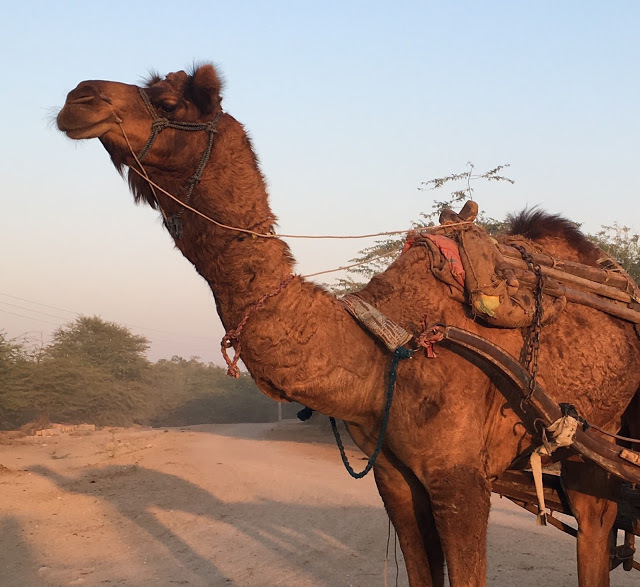 The town of Rohet is another dirt road town, slightly more prosperous than Narlai, and full of the usual cows, goats and pariah dogs. 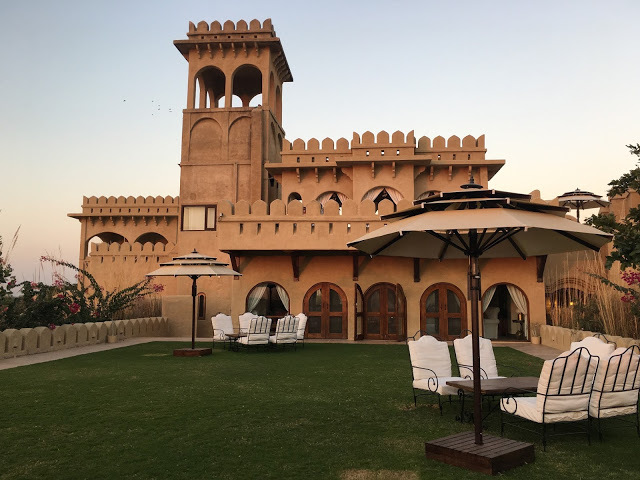 It sits on the edge of the vast desert that stretches into Western Rajasthan. 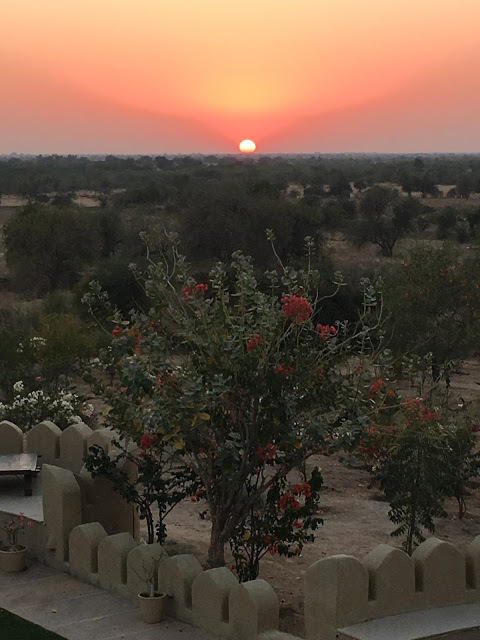 We see antelope and blue bulls in the surrounding Bishnoi villages. 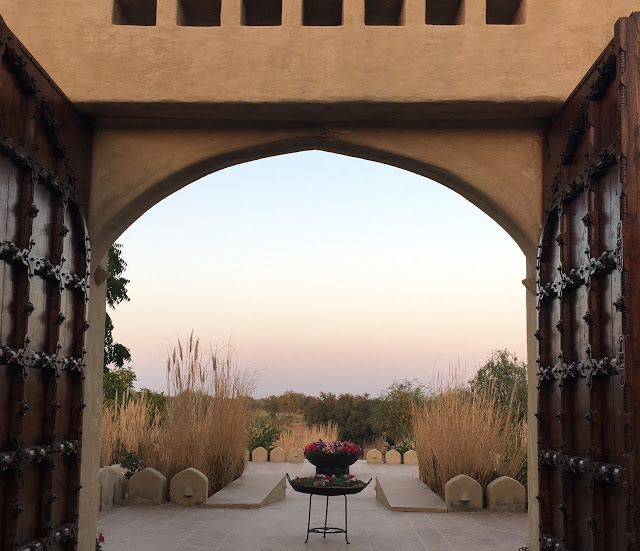 Through the gates and into the shelter of Rohet Garh. 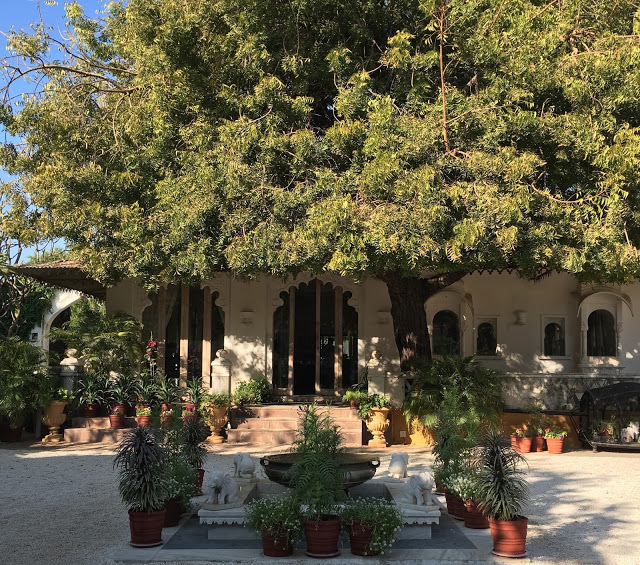 Central courtyard. Time for afternoon tea. A reading nook looking out on the lake. Welcome to the bar. Check out the wood ceiling. The swimming pool at night. 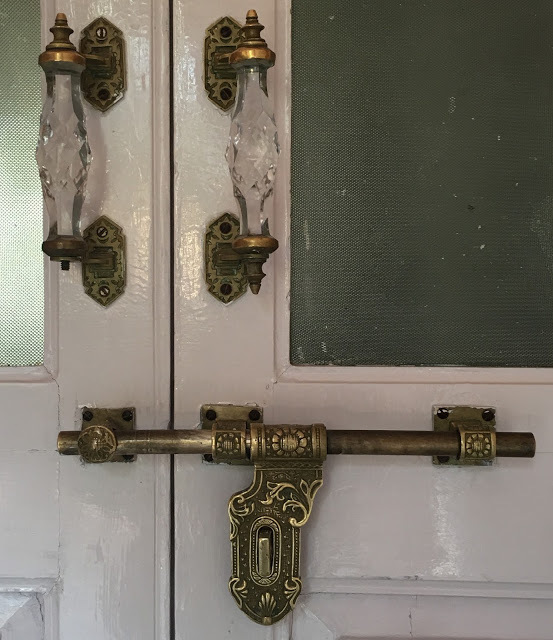 Very elaborate locks on every door. 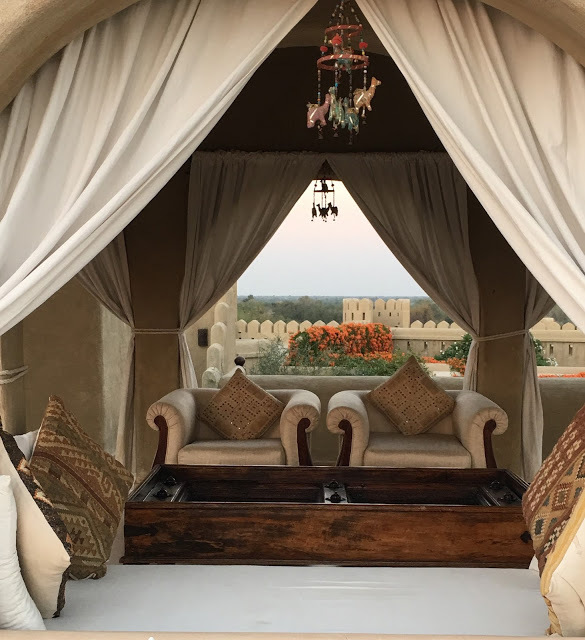 The family that owns Rohet Garh created and custom-designed their own version of a desert fort, Mihir Garh, that is a fantasy property surrounded by desert and scrub-land, reached by jeep on sandy roads best served by camels. 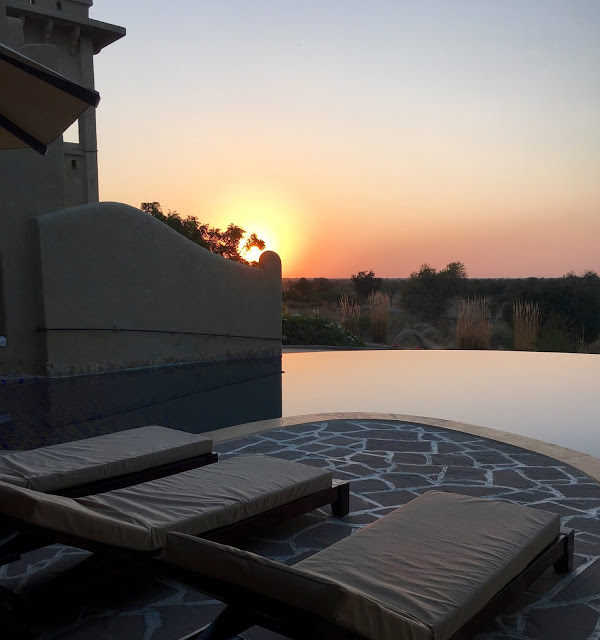 We enjoyed the spectacular sunset over drinks on the terrace and a delicious 4 course dinner (Indian for me, continental for D) as the black velvet night descended showing off a new crescent moon and a swath of stars. The distant villages have no electricity and only the occasional cooking fire sparkled through the bush. 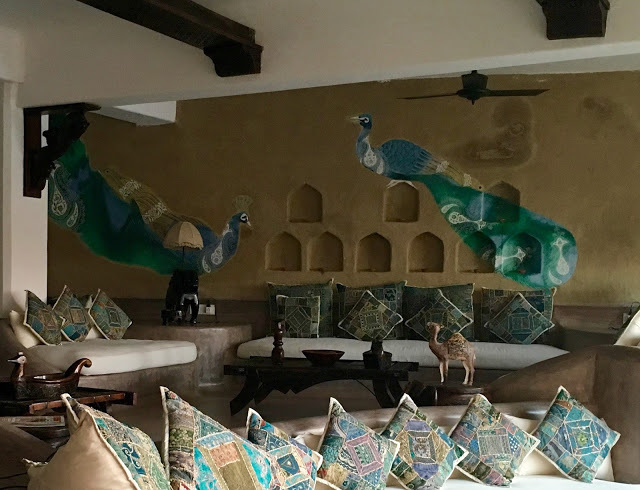 Every room in the property is unique. 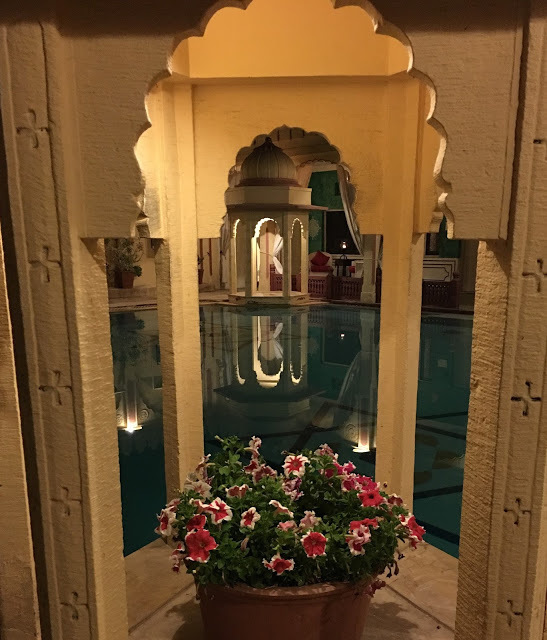 If you’re thinking of a small destination wedding and price is no object…wow. 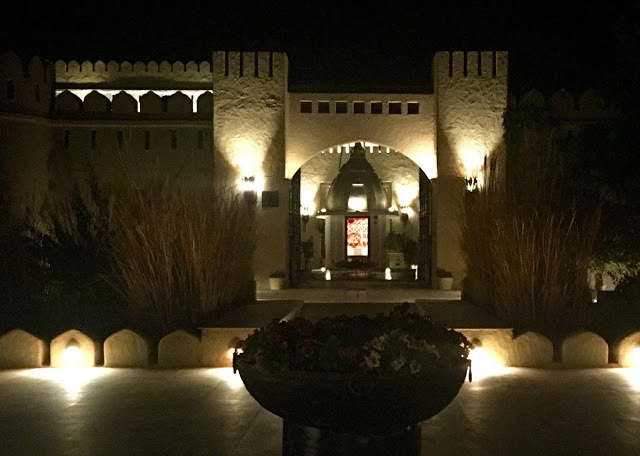 Through the desert to Mihir Garh. Welcome. Through the gates and into the temple. 6:00 service. These doors are no joke. Sandstorms be damned! 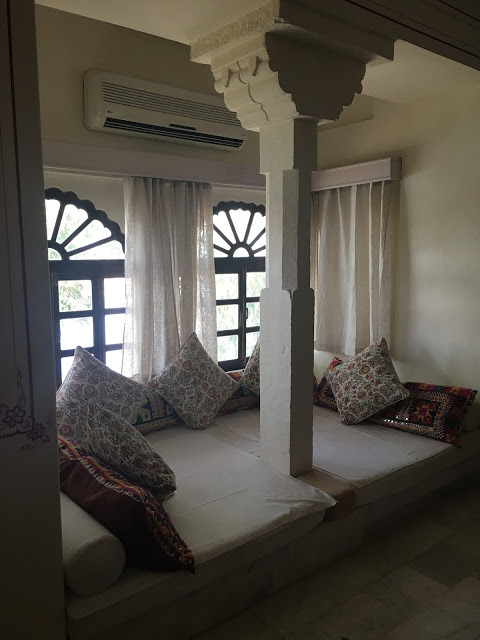 Just one of the living rooms in one of the bedroom suites. 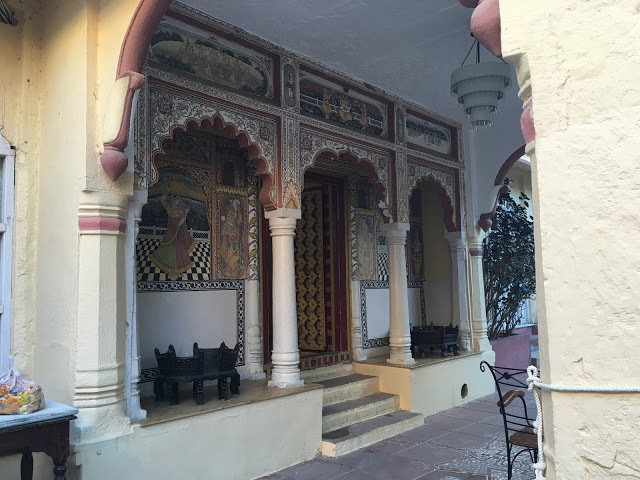 Contemporary Raj design. All original artwork done by owner. Looking over the back lawn toward the sunset. We’ll have our drinks here, thank you. Cheers! Saying good-bye. 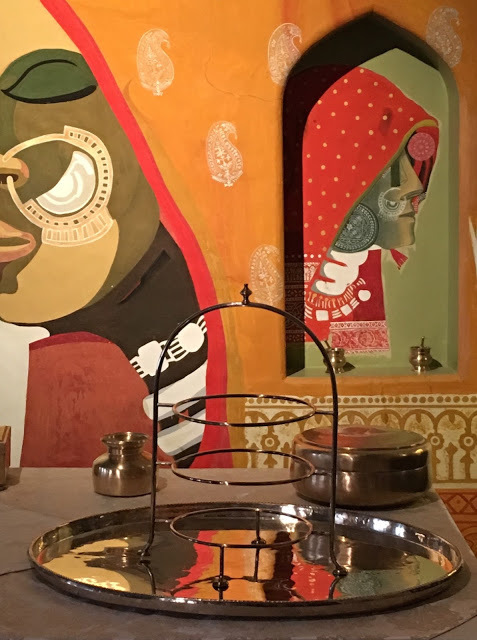 One part Disney; one part heritage Rajasthan; two parts fabulous.